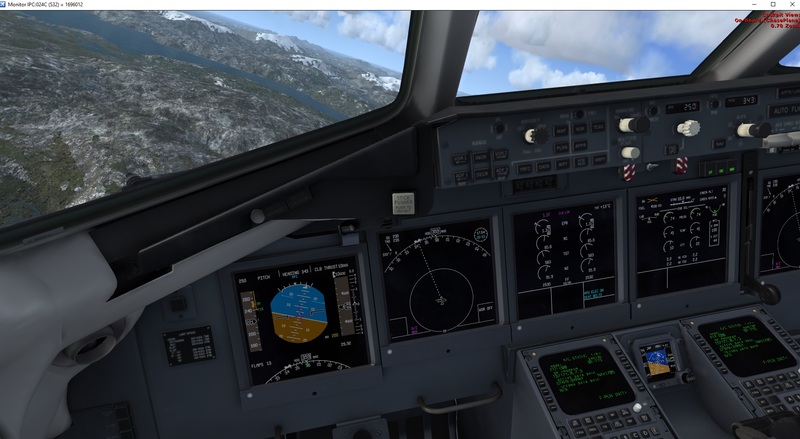 I´ve tried to depart from different airports on HEADING SELECT mode (runway heading, pulling the knob) and when I connect the AP the aircraft starts to turn to the opposite direction so it makes a 360 turn before continuing on the selected heading. 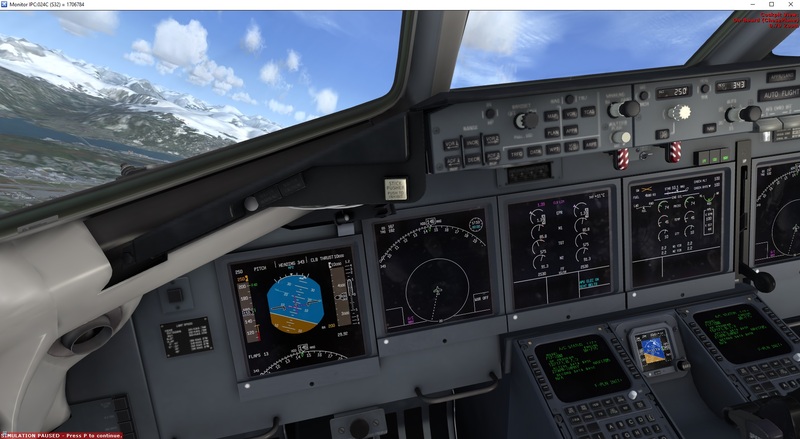 However if I fly on NAV mode and once on the route I select the HEADING mode it seems to work properly. Can you possibly grab a video of this? It'll help me get an idea for exactly why it's happening. I'll try to take some pictures, sorry I'm not good at recording videos with the PC. 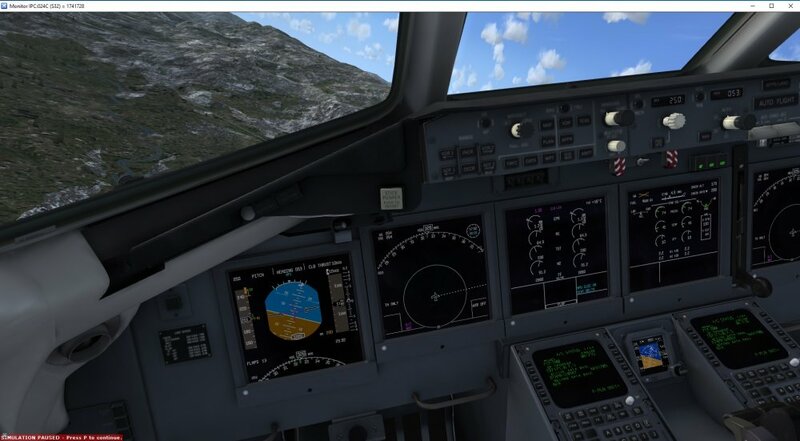 Anyway I've just seen below another user that has reported the same issue "HDG SEL under Autoflight / MCDU FMS issue". That'll definitely work - I'm just having a hard time recreating it here. 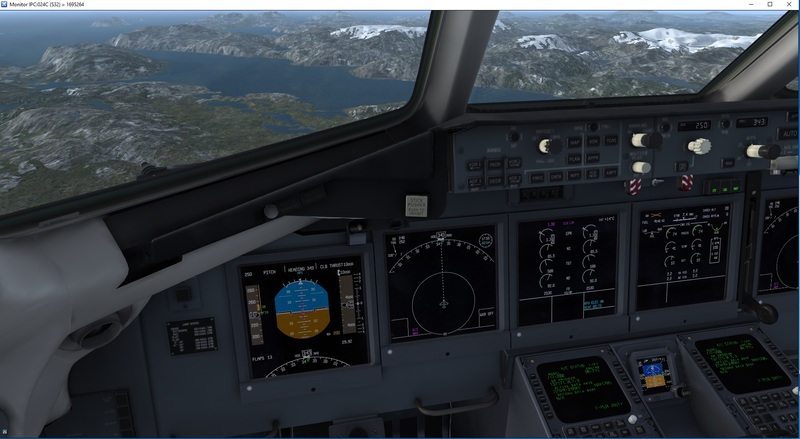 There you have the whole sequence, deparing from ENTC RWY 01 on 053 Heading Select to avoid the mountains on the left. Instead of turning the shortest way (to the right) it turns to le left, until completing the 360 turn. Does this happen when you aren't banking? I think you hit the nail. I´ve been testing the problem with the same result in FSX Steam and P3D 3.4. If the wings are levelled the aircraft responds properly to the HDG Select mode but if a commence a turn and select a new heading to the opposite direction it does not respond and continue turning to complete a 360 turn as described. So if the aircraft is turning the HDG Select does not respond as it should. I can get that fixed - it'll be done with the next update.